Join us on 7 November to find out what sustainability means for your organisation and the VCSE sector. Norfolk’s annual VCSE Conference is being held on Wednesday 7 November 2018 between 10:00 and 15:30 at The Space, Roundtree Way, Norwich, NR7 8SG. 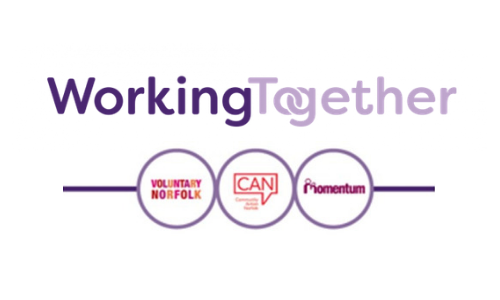 The conference is organised by Norfolk’s three infrastructure organisations – Community Action Norfolk, Voluntary Norfolk and Momentum (Norfolk), under our “Working Together” banner. The annual conference aims to bring together representatives from VCSE organisations to provoke thought, provide an opportunity to consider issues from a national perspective and give delegates practical tools to use within their organisations through a mix of keynote speeches and workshops. The theme of this years’ conference is sustainability – how organisations can develop sustainably in a changing environment and what this means for the VCSE sector. In 2017 our research identified that 23% of Norfolk’s VCSE organisations are not confident or don’t know they will be operational in 3 years time, an increase from 19% in 2015. Chris Starkie – Chief Executive at the New Anglia Local Enterprise Partnership (LEP), works with businesses and local authority partners to drive growth and enterprise in Norfolk and Suffolk. Tim Harrison – Director of nfp Synergy, a research consultancy that aims to provide the ideas, insights and information to help non-profits and charities thrive. Iona Joy – Head of Charities Team at New Philanthropy Capital (NPC), helping charities, funders, philanthropists and social enterprises achieve the greatest possible impact. 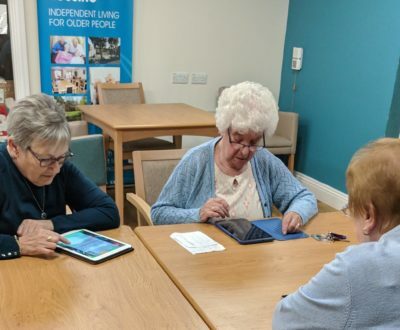 Part think tank, part consultancy, and a charity themselves, they work to transform the charity sector to do the best it can for the people it supports. Developing a sustainable volunteer base. Cost: Members of CAN, Momentum (Norfolk), Voluntary Norfolk or the Voluntary Sector Forum (Children and Young People) will be entitled to one free place with additional or non-member VCSE places £20 each. Places for non-VCSE organisations will be £50 each. To book your place, please click here for a booking form. Email your completed booking form to forum@momentumnorfolk.org.uk.